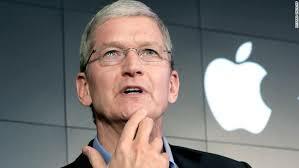 Tim Cook, Apple's chief executive has suggested he is not very enthusiastic about virtual reality. Tim Cook said that he felt that the technology could isolate users and voiced a preference for augmented reality instead. AR involves mixing graphics and real-world views together rather than solely filling a person's view with computer-generated images. One expert suggested Mr Cook's view was becoming more popular in tech circles. Mr Cook expressed his opinion at an event hosted by the University of Oxford, in response to a student's question about what technologies would prove transformative. "I'm incredibly excited by AR because I can see uses for it everywhere," Mr Cook replied. "I also like the fact that it doesn't isolate. "I don't like our products being used a lot. I like our products amplifying thoughts and I think AR can help amplify the human connection. "I've never been a fan of VR like that because I think it does the opposite. "There are clearly some cool niche things for VR but it's not profound in my view. AR is profound." Apple's latest mobile system - iOS 11 - has made it easier for augmented reality features to be added to apps via a set of tools it shared with developers in June called ARKit. But for now the experiences on offer are restricted to being seen via a smartphone or tablet screen. Apple has filed several patents relating to augmented reality glasses, which have the potential to provide more immersive views. But Mr Cook acknowledged in an earlier interview that today's display technologies were not adequate to deliver an experience the public would be satisfied with. However, there is a growing number of virtual reality headsets on sale. And Apple spent part of its recent WWDC developers conference showcasing the fact its latest Mac operating system had introduced support for one of the most popular models - HTC's Vive. It is also marketing its current range of iMac computers as being well-suited to " create cutting-edge 3D VR content". "It's fashionable to knock VR in favour of AR at present," commented Kevin Joyce, editor-in-chief of VRFocus, a news site that covers both technologies. "Augmented reality is attracting more hype at present, but I think things will come back around and VR will be celebrated again once we get more standalone headsets [that don't need to be powered by a PC or smartphone]. "But ultimately there will be a time when they merge and we'll end up with one headset that does both." He added that he doubted in the short-term that many developers would be discouraged from using Apple's products to create VR experiences as a result of the comments. Mr Cook's appearance coincided with Mark Zuckerberg's launch of a new Oculus virtual reality headset. At the event in San Jose, California, Facebook's chief said: "Some people say that VR is isolating and anti-social. I actually think it's the opposite.... opening up more of those experiences to more of us - that's not isolating, that's freeing." Microsoft also partnered with six hardware manufacturers to launch a range of Windows-powered VR headsets last week.